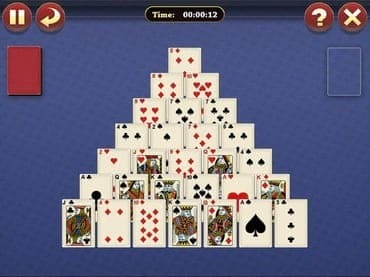 Lucky Pyramid Solitaire - download and play this free set of pyramid solitaire games. If you like this free game, try Lucky Spider Solitaire. One of the most popular and addictive solitaire variations, Lucky Pyramid Solitaire is perfect for a quick break or a few hours of fun. This fantastic version of the popular card game features incredible graphics, a helpful undo feature and a set of twelve of the most popular pyramid solitaire games in the world. - enjoy vivid graphics and exciting levels. If you have questions about Lucky Pyramid Solitaire game, please contact us using this form.